We are undoubtedly a nation of foodies who share our passion with friends and family. Yelp has 145 million users. Cooking apps and food trucks are all the rage. Food channels have 24/7 programming. 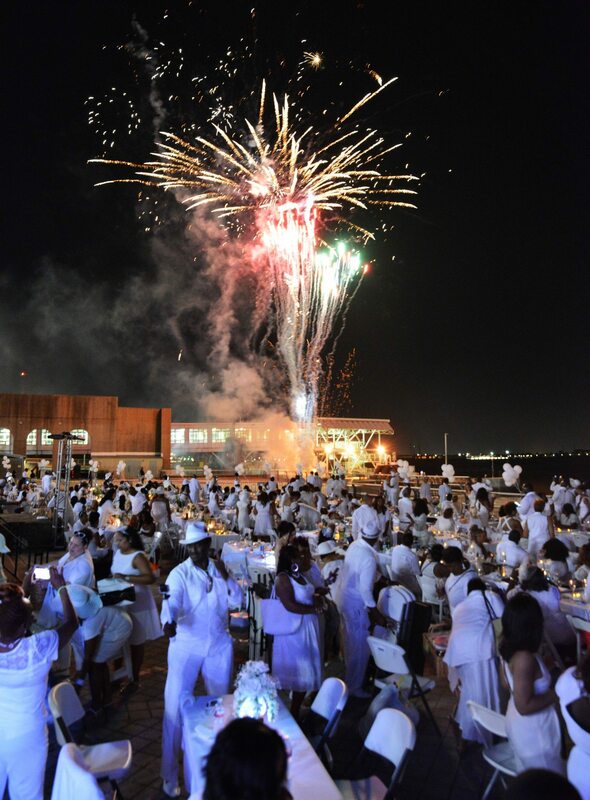 And at the forefront of this celebration, the legendary all-white pop-up dinner Le Dîner En Blanc has become THE culinary event of the year in the U.S. and cities around the world. Le Dîner en Blanc was launched in France nearly 30 years ago. Today, the storied Paris tradition attracts close to 10,000 people. 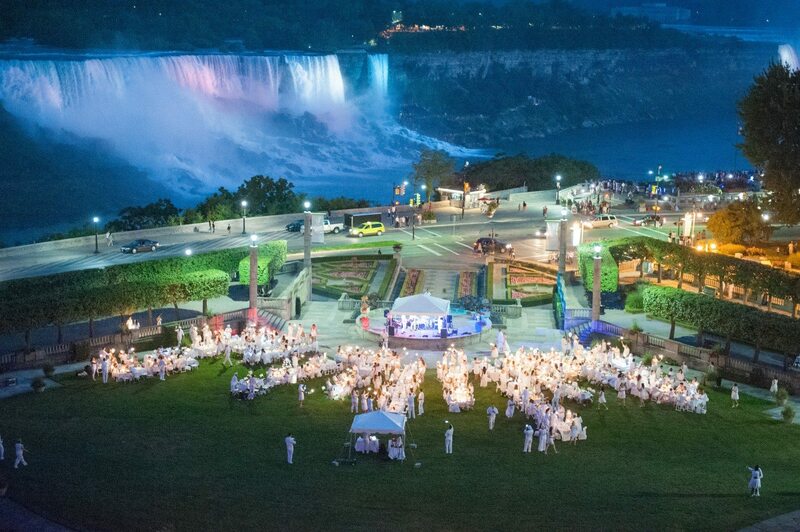 After Le Dîner en Blanc’s U.S. debut in New York in 2011, the event exploded in popularity with requests to host it pouring in from around the world. This year the event is expanding to 70 cities across five continents. 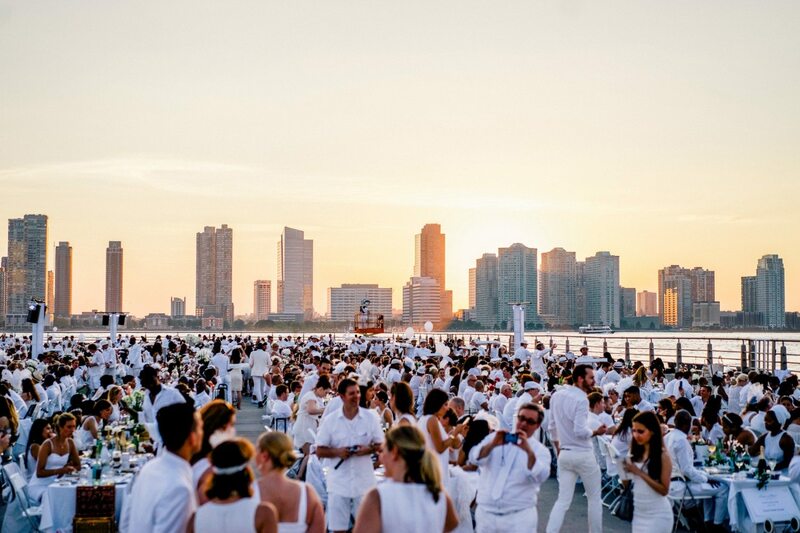 In the U.S., New York will host 5,000 guests at its 6th Le Dîner En Blanc on September 15, one of 20 cities celebrating their own Dîner En Blanc, including for the first time Las Vegas, Orlando and Sacramento. “It feels like we’ve created a family in four corners of the world,” explain co-founders Sandy Safi and Aymeric Pasquier. Every summer in cities around the world, thousands of people dressed entirely in white descend on a landmark public space with everything they need for an elegant soirée in tow, including folding table and chairs, gourmet picnic food, fine china, silverware, and tablecloth. They first meet in groups of between 100 to 300 people at designated spots in the city and follow group leaders — all of whom volunteers — to the appointed location. The exact location remains a secret until the moment guests arrive, creating an air of mystery and excitement. Over the course of the evening, the diners eat and celebrate amid live music, dancing, complete with festive white balloons. Many spend weeks in advance planning their menus. Guests also use the venue to express their unique fashion and design style; the often elaborate and creative outfits, fantastical hats, and decorative table settings are always a fabulous spectacle. • Once confirmed, each guest’s participation becomes mandatory, regardless of weather conditions. This is a rain or shine event. • Dress code: elegant and white only. Originality is encouraged as long as it is stylish and tasteful. • Table setting: All white! 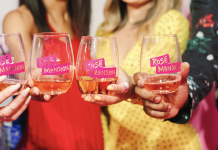 • To ensure that the location secret is kept undisclosed until last minute, guests meet at assigned departure location and are escorted by a Dîner en Blanc volunteer. • Champagne and/or wine. Beer and hard liquor prohibited. The alcohol laws and regulations for most states, including New York, do not allow guests to bring their own alcohol. Guests who wish to enjoy some wine or Champagne must reserve online through online. However, guests are welcome to bring their own non-alcoholic beverages. • In order to leave the event location as clean as when they arrived, guests are required to clean their area, and leave with all their belongings, leftovers and litter. • A folding table, two white chairs, white tablecloth. • A picnic basket comprising fine food and proper stemware and white dinnerware. • A catered picnic basket option, which can be picked up on site, will be available for those who do not wish to pack their own. Apothic Wine is proud to be the official wine sponsor of the 2016 US Dîner en Blanc series. Le Dîner en Blanc – New York gratefully acknowledges Moët & Chandon as the official champagne sponsor for the 2016 edition of Le Dîner en Blanc in New York. For more details on the event’s rules and regulations, please visit the official website: http://newyork.dinerenblanc.info/about.